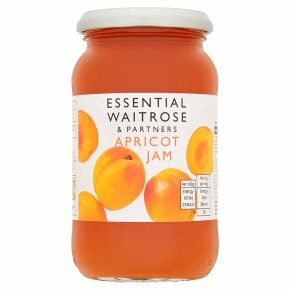 Glucose-fructose syrup, apricots, sugar, citric acid, gelling agent pectin, acidity regulator sodium citrates. Prepared with 45g of fruit per 100g. Total sugar content 63g per 100g.